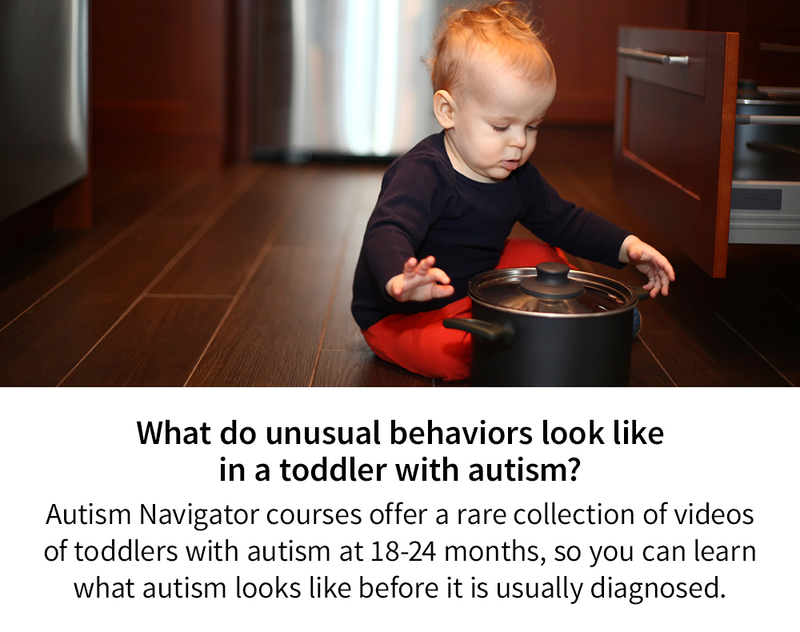 Find out how Autism Navigator courses and tools can help. 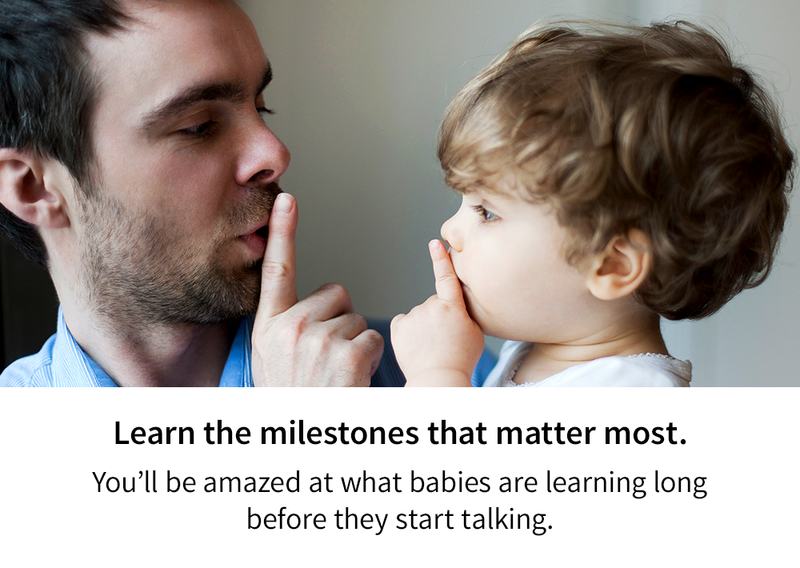 Autism Navigator is teaming up with FIRST WORDS® Project to improve early detection of autism. 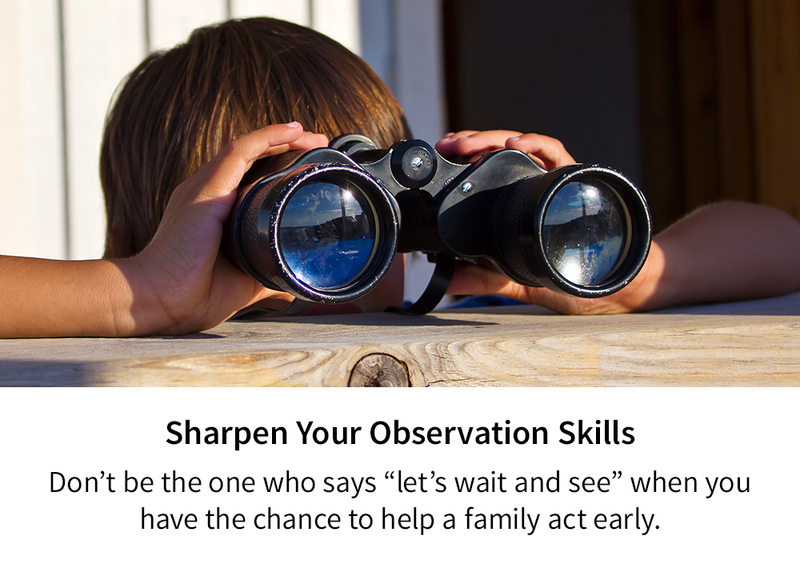 How can a parent know what to expect? Flip through photos of the gestures and actions with objects children are learning each month from 9 to 16 months. Select your child’s age. Read, print, download, and share our milestones. 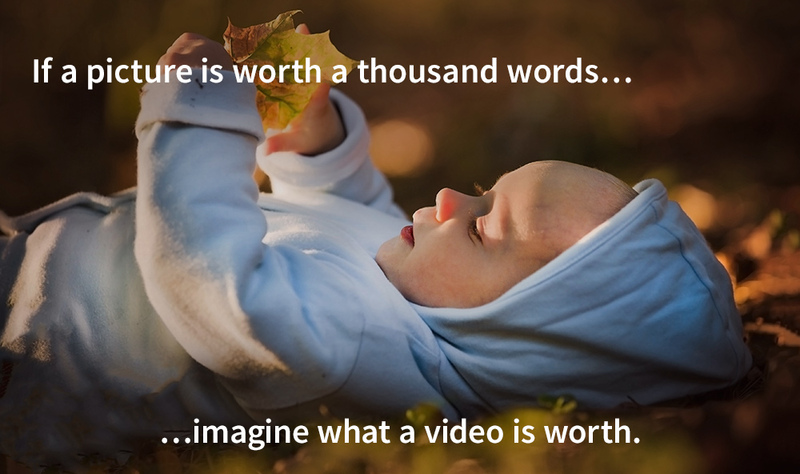 Explore hundreds of videos of children 7 to 24 months. Chart your child’s growth. Find out how you can join for free. For parents of children 9-18 months, be part of our research. 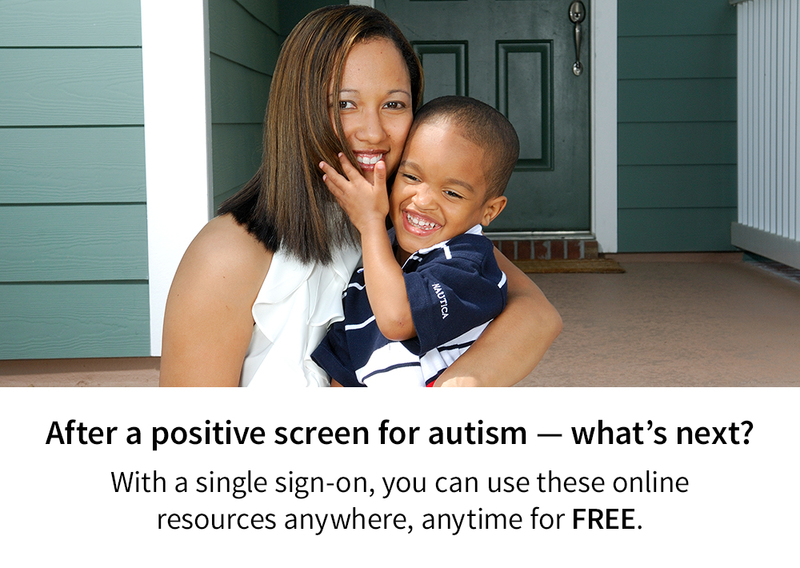 Screen your child by answering questions online. 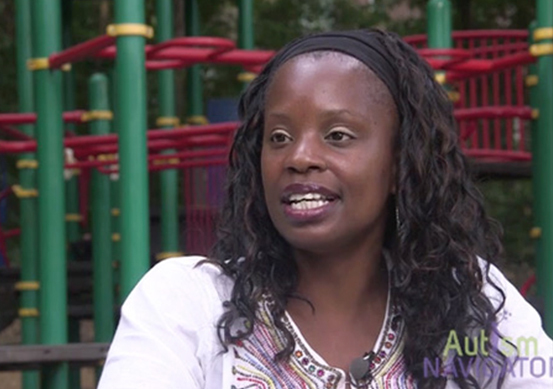 Watch video clips of two of our families to see how early detection of autism and early intervention “changed the course of history” for their child. 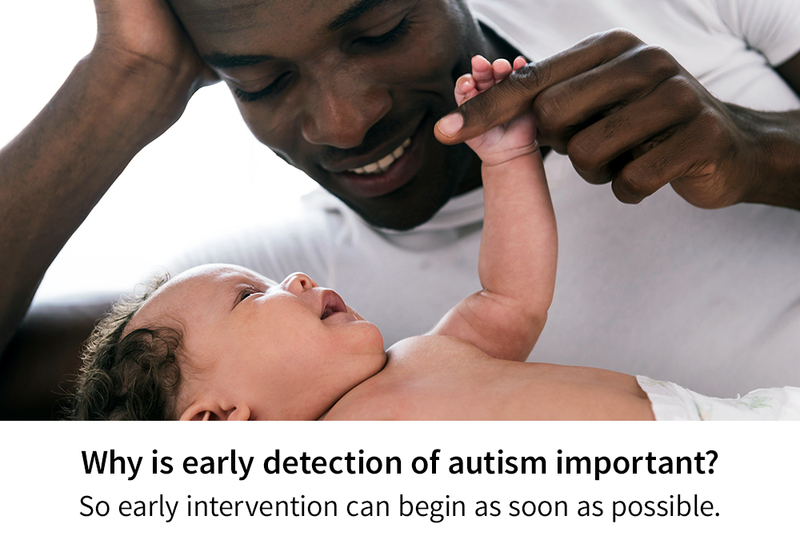 Early diagnosis and intervention has a lifetime impact for children with autism and their families.